Our product range includes a wide range of tychem coveralls and polypropylene hospital uniforms. Tychem Coveralls are the revolutionary protective wear presented by Dupont. 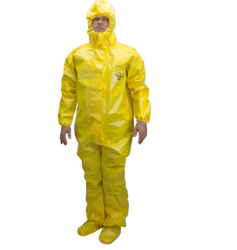 These coveralls offer excellent and complete barrier protection against a wide range of inorganic chemical and biological hazards. Best for highly sensitive and hazardous environments and yet light in weight and comfortable, these are elasticated for perfect fitting and adjustments. Designed specially with ergonomic fit, these coveralls allow the workers to handle even difficult tasks more easily and comfortably. Our wide range of polypropylene hospital uniforms, these products has wide usage in medical industry. All the products are disposable and cost effective to use. 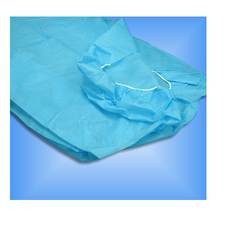 Ensure complete protection of linens and mattresses in hospitals and nursing homes, these are provided with elastics for a perfect fit. Available in different colors and sizes, the entire range is highly demanded their property of locking the wetness for a comfortable and dry feel. These are made from spunbound 100% polypropylene with soft texture and breathable quality.